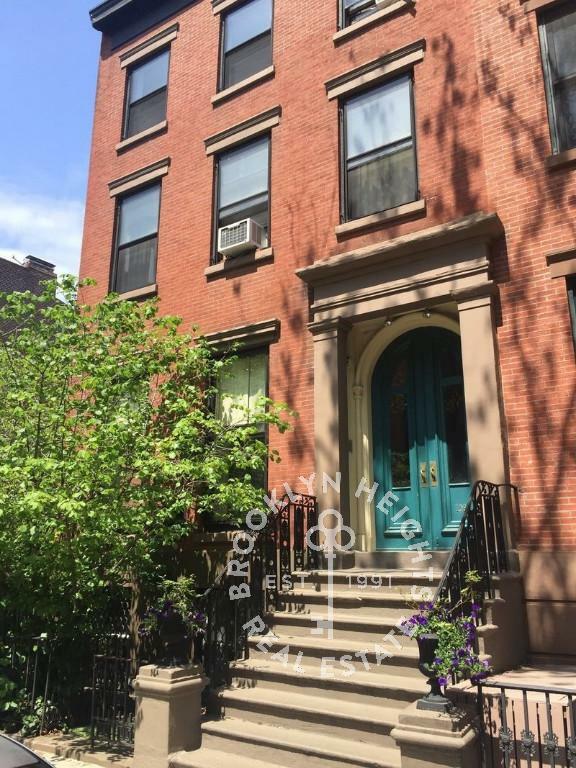 On a quiet corner in historic Brooklyn Heights, this apartment is spacious and flexible, with lots of closets. Three exposures provide ample light. Kitchen with dishwasher flows in to a small ,windowed dining area. The full bathroom has been recently renovated. Oak floors throughout with the exception of the garden room/bedroom, floored in Italian tile. There is a clothes washer and dryer, a woodburning fireplace and and a charming Japanese garden with fountain. Extra storage available in the basement. Ideal for families with small . There's great shopping nearby, (Trader Joe's, Sahadi's, Fish Tales) and the spectacular Brooklyn Bridge Park is only five blocks away. Pets on approval. Available immediately.